Essentially, the A-field is of such a coherence that it remains discoverable today. Additionally, with new discoveries and the help of quantum physics, theories of the beginning of everything and why we have thumbs have begun popping up often. 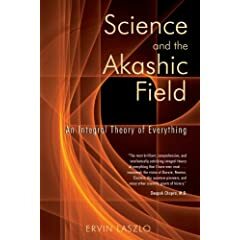 Ervin Laszlo’s Science and the Akashic Field, addresses some of these theories and explains just exactly what they might mean. This book combines science and philosophy in a way that opens one’s mind and is inspirational.